When opening up sales regions, SAF-HOLLAND first sets up sales offices. With growing business volume, these are followed by subsidiaries, which often make sales and earnings contributions from the beginning – as is the case in Dubai, for example. Whether the business develops successfully is not decided by the organizational side alone. The decisive factor is the exact coordination of the product portfolio with the regional requirements and customer wishes. Thomas Wilczok on the importance of applications and the value of local presence. Tomasz Wilczok is Technical Manager for trailer axle and suspension systems. As an employee of the subsidiary SAF-HOLLAND Middle East FZE, he works in Dubai, in the Jebel Ali free-trade zone. He sees to it that the products are perfectly adapted and aligned with the conditions and the requirements of the local customer. 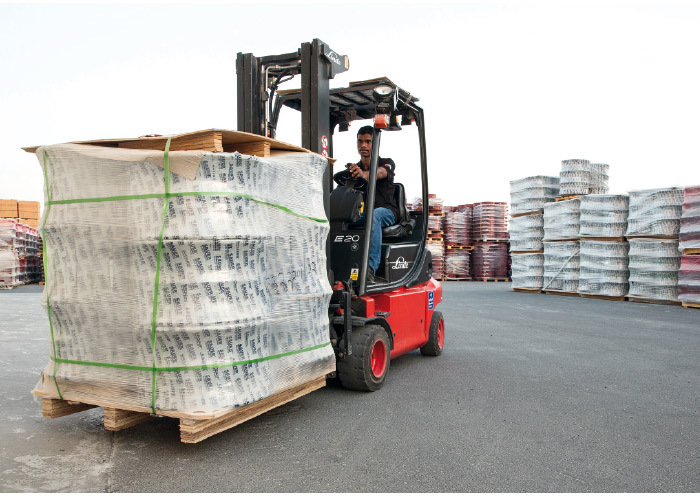 From Dubai, SAF-HOLLAND supplies the entire Arabian Peninsula as well as the emerg­ing markets in Northern and Central Africa. are therefore interested in robust products with a focus on the basics. Mr. Wilczok, SAF-HOLLAND wants to conquer new country markets. Will this change the product portfolio? The new sales markets do not fundamentally change our product portfolio, but there will be further differentiations within the individual product groups. In every country, we offer our products exactly as they are needed. The more pronounced the global positioning, the more comprehensive the number of our regional product variations. Why is that necessary? You could also have global standards for suspension systems or axles? There are a number of reasons for the differentiation. The most important factors are different national regulations and transport guidelines. They set out how a trailer can be built and used. The regional preferences of the end customers are also decisive. Mechanical suspension systems, for example, are nearly forgotten in Europe but remain in high demand in other regions. Increasing globalization therefore requires flexibility and a growing number of applications and adaptations. Isn’t a certain degree of standardization necessary, despite the many variations, so that economies of scale can be achieved? Variations and standardization have to be brought together – that is the challenge. In order to create the best possible and most flexible solutions, adaptability plays an important role as early as the development stage of our products. The objective is always to implement as many standard components as possible in order to take advantage of economies of scale and synergies. Is the application capability an important criteria for success? In the Middle East, Africa and China _ SAF-HOLLAND aims to generate about 30% of Group sales outside of today's core markets of Europe and North America by 2020. In order to achieve this goal, the penetration of emerging markets will be intensified and stretched across all product groups. The focus is on proven paths through the aftermarket business, sales offices and product technology applications. In this regard, SAF-HOLLAND relies on its core competences and consistently gears the further globalization toward the requirements of the market and the customer. For each customer and in all sales regions, solutions will be made available that are tailored to the respective needs. The company’s strong application expertise is the basis for local success. Consistent positioning toward the requirements of the customer: SAF-HOLLAND stands for a global portfolio which provides various product and technology variations in individual sales markets. In Application Engineering, you prepare the products for use in the respective markets through variations and customized solutions. It is part of the R&D activities for which short development cycles and fast market entry are key. Does this also apply to the area of applications? Not entirely. Our applications are built on developments that already exist. The particular strength of Application Engineering lies more in the proximity to the regional market and the customers there. In order to play this trump card, SAF-HOLLAND has located Application Engineering mainly locally. This allows us engineers to play the role of middle-men and therefore intensify the flow of information between R&D and the local manufacturers or fleets. With a dual advantage: our special market knowledge benefits product development and customers profit from the fact that their wishes are quickly taken up and appropriate solutions are created. The focus of their work lies in technological variations for the Middle East as well as Northern and Central Africa. How much do the requirements vary in this regional area? 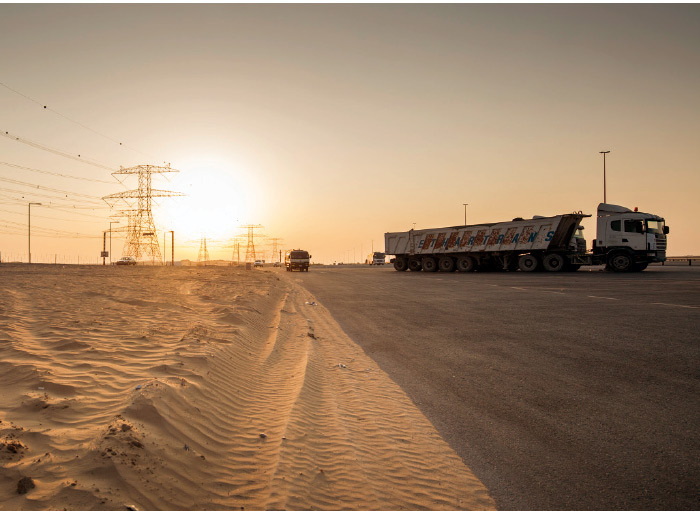 They vary greatly – this region in particular comprises very different country markets and is an excellent example of how important it is to be on site. Direct customer contact is irreplaceable; fast reaction times and short delivery periods are significant sales arguments. Local presence is quite simply the ideal path to better sales results. Regional locations strengthen the position of SAF-HOLLAND in important growth markets and accelerate geographic expansion. Among the advantages of local presence is the fact that the company is more strongly perceived as a local player. 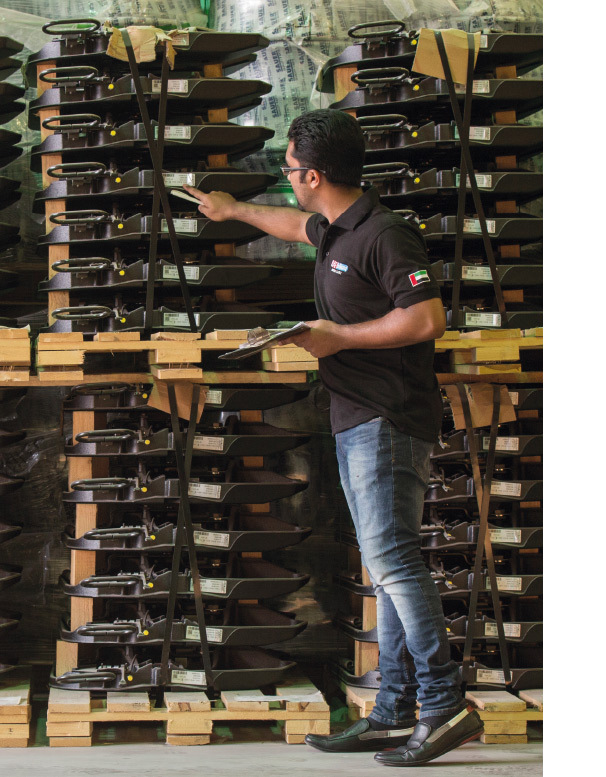 As a result of the close proximity to its customers, SAF-HOLLAND can also offer them the best possible service and the even faster availability of spare parts. Experience in the Middle East as well as in Central and South America has shown that local sales offices are an efficient way to support SAF-HOLLAND’s regional expansion. With this in mind, the company began in the third quarter of 2015 with preparations for the founding of one sales branch in Morocco and one in Kenya. Morocco is moving forward with its integration into world trade and, to this end, has signed both regional and continental free-trade agreements. At the same time, the country is increasing­ly positioning itself as a trade hub between the European and African continents as well as North and South America. In the World Bank‘s Logistics Performance Index (LPI), Morocco is already ranked 62nd. Kenya, which is ranked 89th in the LPI rankings, benefits from its favorable geographical location in East Africa and is working on expanding the Nairobi area into a major hub for the region. Experts anticipate that the transport and logistics services in the country will grow substantially – not least because Kenya wants to produce and export more raw materials.